Tel Aviv University expresses its profound sadness and offers its sincerest condolences to the family of Lt. (res.) 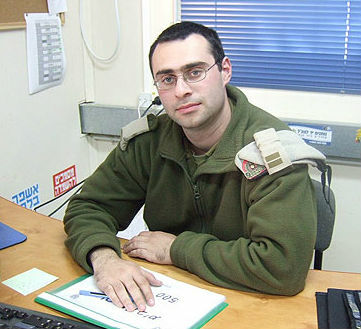 Boris Yarmolnik (pictured below), 28, of Netanya, who was killed in the line of duty in Operation Pillar of Defense last week. Boris, a talented TAU physics student who was called up for reserve duties when hostilities broke out, was mortally wounded by rocket fire from the Gaza Strip into the Eshkol Regional Council. He was pronounced dead on Thursday, 22.11.12, at Soroka Hospital in Beersheba.